You may recognise Anne from our Skintervention video. Here, you can learn a little more about her. Anne lives in Cork and was, until recently, an active primary school teacher who loved her job and her students. About four years ago, she needed to have knee surgery and it was while she was recovering from this that her attention was continuously drawn to a small scratch on a freckle on her thigh. Over a few weeks, the scratch did not heal and started to develop into a blister-like lesion. When Anne was with her GP shortly afterwards, she mentioned the freckle in passing. She said that she apologised for making a fuss and said that it was probably nothing but that she knew deep down something was wrong and that it was worth mentioning. Anne was ultimately referred to a hospital consultant for further tests which proved that she had melanoma, the most serious form of skin cancer. Anne said when she was diagnosed she was completely shocked and had no idea what melanoma meant. She had to have surgery to remove the mole. (The removal of the mole was a minor procedure initially– The main ‘surgery’ would have been a wider excision to remove a margin of tissue surrounding the original lesion and also the lymphnodes removed from her groin) Unfortunately for Anne, her melanoma has returned multiple times and she has had multiple surgeries over the past four years as the cancer returns time and time again. Her medical team check her entire body for melanoma regularly as the tumours can appear anywhere and grow rapidly. While Anne has faced a lot over the last number of years, she has also created an incredible amount of awareness for melanoma and what we can all do to help prevent this disease. Anne has been especially active in her home county of Cork where she channels her love for teaching into working with primary school children. Her Sunny Days Melanoma Cancer Awareness educates children on the need to be SunSmart by teaching them to love and respect their own skin; never to burn and showing them how to make healthy sun protection choices, with particular emphasis on making the children aware of the existence of the sun’s damaging rays, UVA and UVB, in the atmosphere. 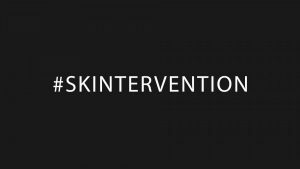 Anne is working with the Marie Keating Foundation on its #Skintervention campaign because she wants Irish people to know that melanoma is a serious disease with devastating consequences but it is also preventable. 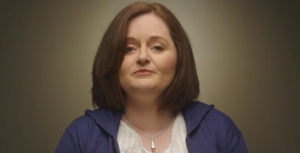 She wants Irish people to look after their skin by being SunSmart. This means wearing high factor SPF everyday, even when it is cloudy. It also means covering up and seeking the shade when it is sunny and wearing sun glasses to protect our eyes. Finally, it is vital that we all monitor our skin for changes to freckles and moles. She would also add that one of the key messages that Irish people need to take note of is that the Irish sun/UV rays cause skin damage almost every day between the months of April and October. Sun protection is not only for our holidays abroad! It is for every day at home too.